There’s been a lot of buzz in the news lately about using DNA matching to solve cold murder cases. So it definitely made headlines when it was recently announced that the Jack the Ripper case, one of history’s great unsolved mysteries, has been solved once and for all through DNA testing. Researchers obtained a shawl that allegedly belonged to Catherine Eddowes, the Ripper’s fourth victim. The shawl was tested, and DNA from both Eddowes and one of the top suspects, Aaron Kosminski (a Polish barber who was 23 years old at the time of the murders) was found on the fabric. However, scientists and “Ripperologists” (Yes, there really is such a thing! 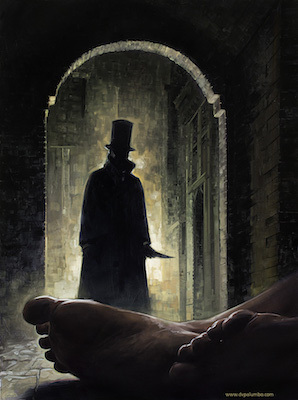 There are actually historians who specialize in Jack the Ripper lore.) have dismissed the results for a number of reasons, claiming that the scientific testing methods were sloppy and invalid. And not only was the shawl that the DNA was taken from handled incorrectly, but in fact, it probably didn’t even belong to Catherine Eddowes at all. Read about the latest attempt to solve the Ripper case at LiveScience.com!